Thermoscale 200c - Tactile Surface Temperature Indicating Film by Fujifilm at In The National Interest. MPN: 200c. Hurry! Limited time offer. Offer valid only while supplies last. Thermoscale® is a revolutionary new film that enables anyone to measure heat distribution easily by observing the variation in density and hue. 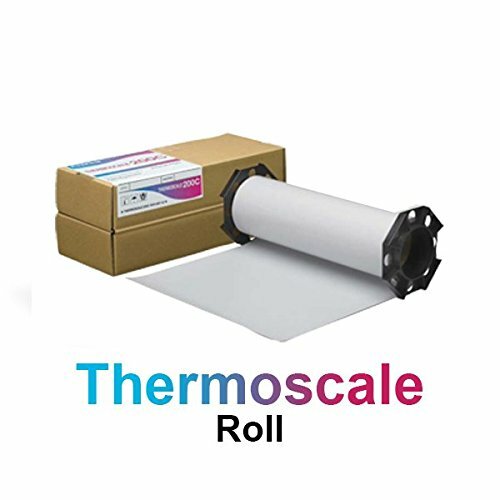 Thermoscale® is a revolutionary new film that enables anyone to measure heat distribution easily by observing the variation in density and hue. Thermoscale sheet turns color when coming in contact with the heat source.The extent of color change depends on the temperature of the heat source and the contact time. A shorter contact time produces lighter colors with a blue tint. As the contact time increases (at the same temperature), the colors become deeper and take on a red tint.